If you’re not cooking on a natural gas grill, you should be. 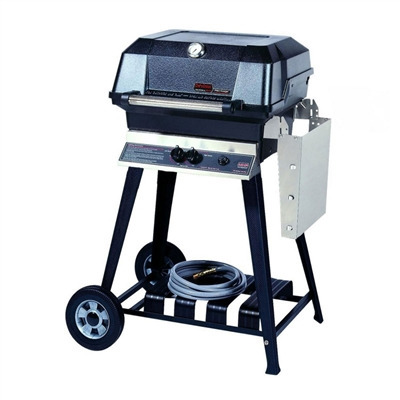 Natural gas grills are efficient and dependable. No waiting for charcoal to heat up or scrambling to refill a propane tank, and grilling with natural gas costs less than propane. Precise temperature-controlled cooking lets you cook food just the way you like it. What’s more, outdoor cooking also keeps the kitchen cooler, reducing home-cooling costs in the summer. “T” series requires no power or batteries. Sold as Natural Gas units- includes orifices to change to LP. 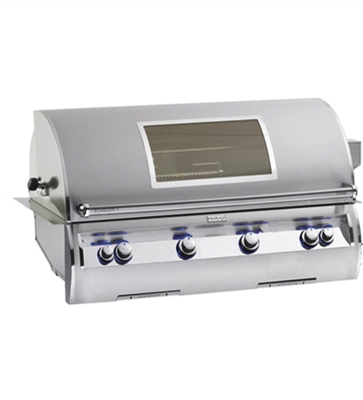 Features: Piezo “rapid light” ignition, heavy duty warming rack, Heavy duty 304 stainless steel construction. 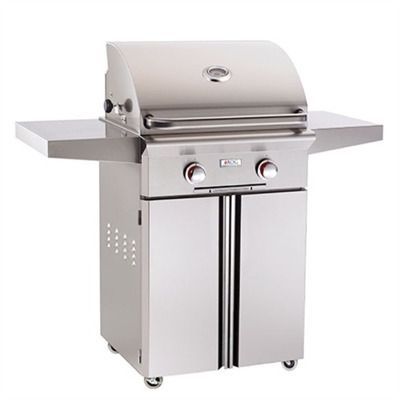 With sleek lines, a unique contoured face and state of the art features such as hot surface ignition, blue back lit knobs, and an optional Magic View Window. Echelon Diamond defines luxury in grilling.